Children of the Kraken: Behold the dungeon-themed bases! 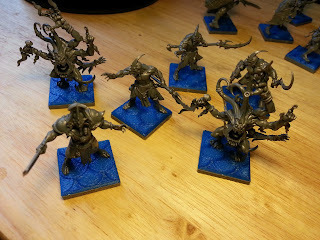 One of the project that was in my waiting list was this one about dungeon-themed base toppers for my miniatures. When the new Warhammer Quest came out I started to design some themed bases but I never had the chance to actually make them... until I got a 3D printer a couple of days ago! 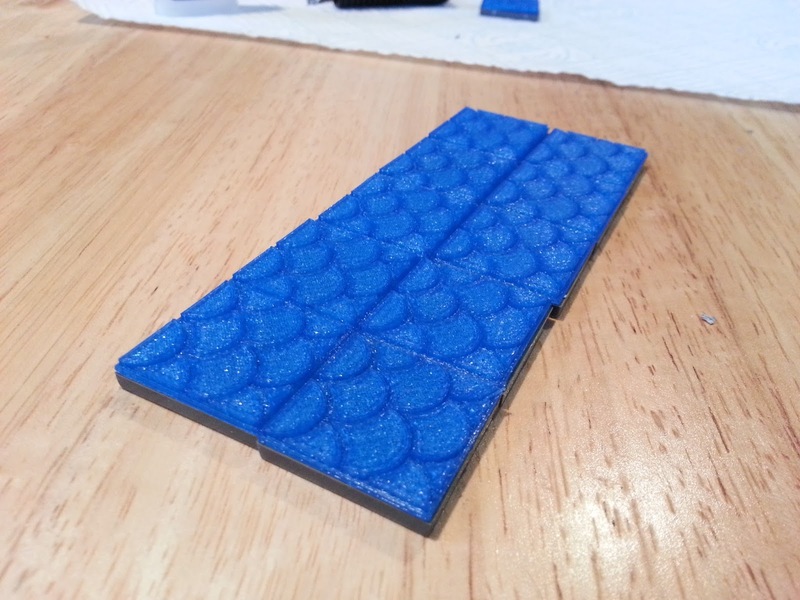 These are designed to fit a 25mm base and they have the same pattern I'm using for some of the floors of my 3D printed dungeon. Usually I go for the the plastic bases by Mantic Games: they are cheap and if you flip them over you can use to slot at the bottom to fit a magnet. Your you can see the bases with my toppers just below. And here some happy cultists (and a couple of demons) that finally have the bases they were waiting for. 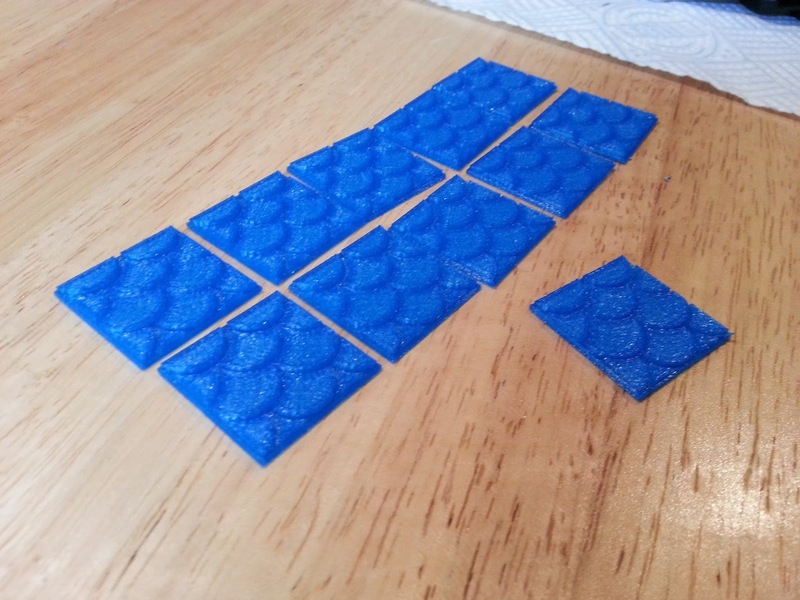 I'll probably consider making them available for sale in a while, I have this idea about some sort of webstore when the customer can pick base size (20mm, 35mm...) shape (square, round ...) and one of the patterns (or even uploading a custom one) and I can just print them on demand. But that's something for another day!